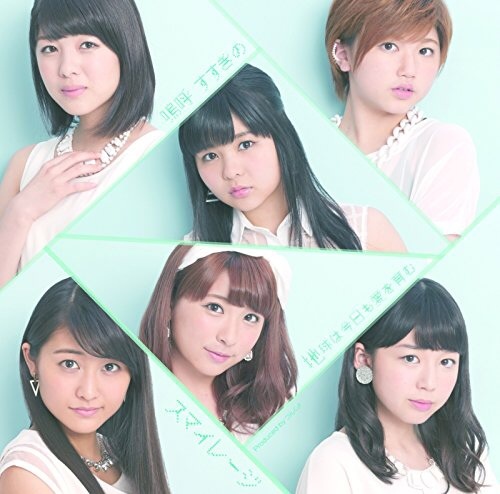 A review of S/mileage’s upcoming single ‘Aa Susukino / Chikyuu wa Kyou mo Ai wo Hagukumu‘! 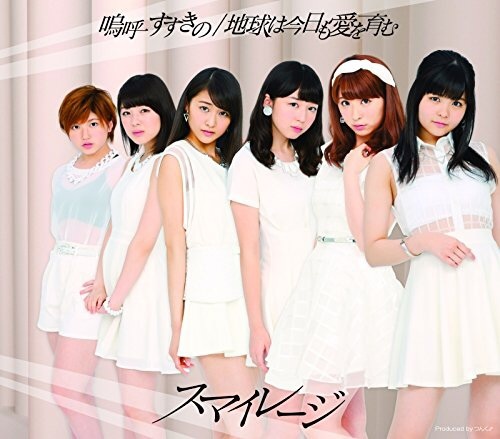 It is their 17th single, and will be released on August 20th in two regular and four limited editions. Let’s take a look at the covers first! The regular A (left) looks pretty simple, the girls are wearing the Aa Susukino outfits, and their outfits fit them and all go very well together. Kanon stands out with the white bow in her hair. The only ones who seem a bit off are Akari and Kana, whose faces look a bit weird on the photo. The single title and the group name are very simple, but it looks very good on the cover. The regular B (right) looks cheap I think. The combination of the background colors and the outfit colors doesn’t look very good, and the white spaces above and under the photo don’t really help. The posing looks quite awkward, especially Meimi with her arms around Akari and Rina with her arms around Kanon. The Limited A (left) is again with the Aa Susukino outfits. The colors are very soft and fit nicely with the outfits and styling of the cover. I like how they put the photos together. It’s very simple, but looks really pretty I think. This is my favorite cover of the six different editions. The only thing that bothers me is how Kanon and Ayaka are the ones smiling, while the other girls have a more sad/serious look. The Limited B (right) looks more chaotic because of the messy typography which I quite like. The girls posing looks nice enough, although I’m not a big fan of their styling. I think they should have done more with the background with looks like it hasn’t been finished. The Limited C (left) is again very simple. I’m definitely preferring the ‘Aa Susukino’ covers. The girls are all posing and looking pretty against a soft yellow background. The girls all look pretty, although Kana looks like she has been crying. Although the yellow looks okay, I think they should have gone with a different color, like blue, mint or lavender. The Limited D (right) is a pretty boring cover I think. Nothing outstanding really, except it makes me dislike their styling even more. These hairstyles + make-up isn’t working really well, especially not for well everyone except Ayaka and Kana. Now onto the songs and the MV’s! ‘Aa Susukino‘ is the first one. Slightly confused by the Susukino in the title, since Susukino is a red-light district, not really a place where you would/should be hanging out at these girls’ ages. The MV uses an airport setting, which looks very pretty with the lighting and styling they use. Definitely in the lead are Ayaka, Kanon and Rina. I was quite surprised with Rina getting so many lines, but I was glad many of them were talking ones, since I’m not a big fan of her singing voice. Same goes for Ayaka, I like their talking lines in this song a lot, but I’m not a big fan of their singing voices. The song itself is not really outstanding in any way to me, but I do like the MV. It’s an unusual setting for a H!P MV and I think the girls look very pretty. While I usually dislike talking lines in songs, I actually don’t mind them in this one. Mostly because Ayaka and Rina do them pretty well I think. The girls are pretty good at looking all sad and serious. I think the other girls sounds good in the song, but nothing outstanding. The dance fits the song, but isn’t really memorable. Rating: 3/5, bland song, but good-looking MV, pretty covers and pretty styling. Too bad the song isn’t anything special. ‘Chikyuu wa Kyou mo Ai wo Hagukumu‘ is up next. I really really don’t like these outfits, they aren’t flattering on any of the girls. They also don’t fit with the setting of the MV I think. The styling also doesn’t really look good on Rina, Meimi and Akari. Especially poor Rina, it just doesn’t look good on her. I like the sound of the song, it is something I would listen to more often. Especially the repeated ‘chikyuu wa kyou mo ai wo hagukumu’ sticks. That said, the MV is a real dissapointment. It isn’t really flattering for the girls, the only one for who the styling is working is Ayaka. She definitely stands out in this MV, since this a very unique look for her I think. I also think the shots showing three girls look a bit awkward since the girls all do their own thing which together looks a little weird. The dance fits the song, but isn’t special. The girls’ singing is okay, although I don’t really like Ayaka’s voice. I like how there aren’t too many solo lines in this one, it fits the song. Rating: 2/5, good song but horrible styling, boring MV and not so pretty covers. So in the end, I think it’s a pretty boring release. 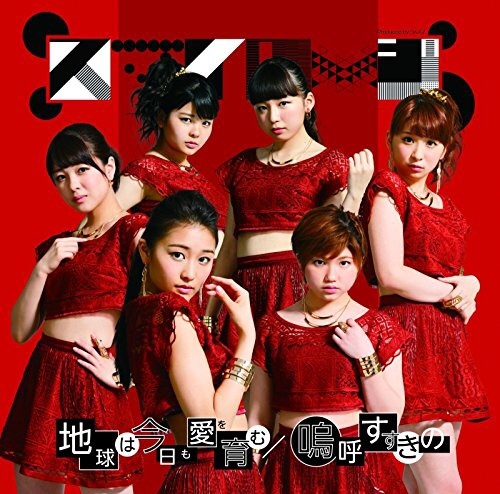 I’m not really a S/mileage fan so I don’t care that much. 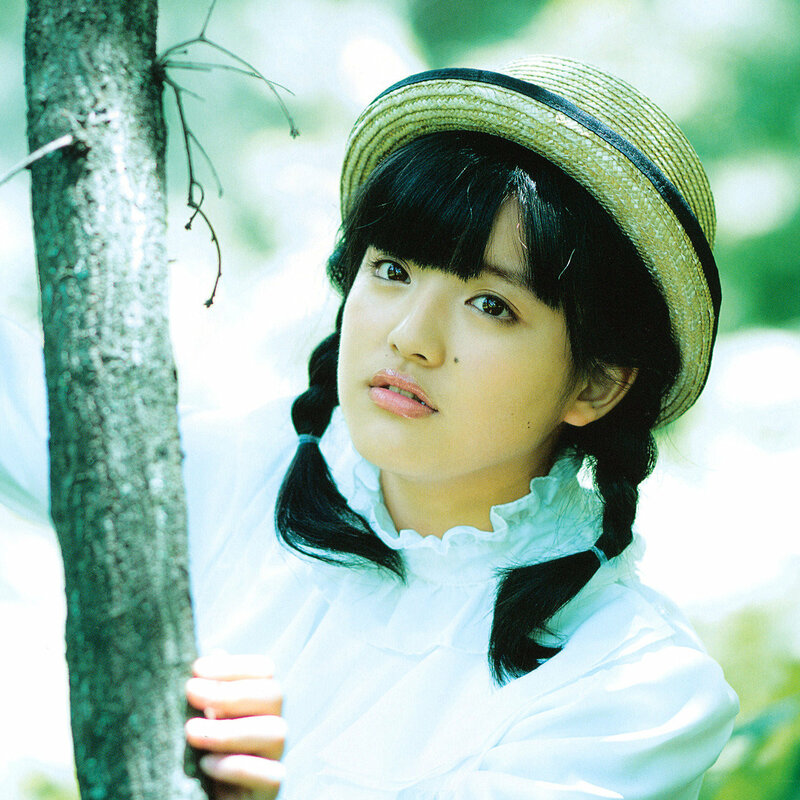 But I’m glad they got a pretty MV for Aa Susukino, even though the song is pretty boring.